He led the Milwaukee Bucks to an NBA-best 60-22 record this year, and now Mike Budenholzer is being recognized by his peers for this accomplishment and other accolades. 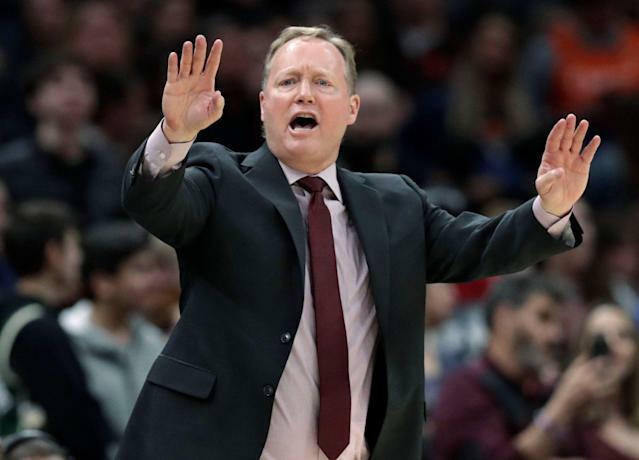 According to the association, Budenholzer was named the 2019 recipient of the Michael H. Goldberg NBCA Coach of the Year honors. “Mike Budenholzer in his first year as head coach of the Bucks, led the franchise to the top record in the entire NBA. Congratulations to Bud on this prestigious recognition,” Dallas Mavericks coach and National Basketball Coaches Association President Rick Carlisle said in a statement released Saturday. Milwaukee posted its best record this year since 1980-81, the last time the Bucks had 60 wins in the regular season. Budenholzer also led the Bucks to their first divisional title since the 2000-2001 season. Per the release, the Bucks were the only team to rank in the top four in both offensive and defensive rating, finishing the regular season with the best net rating in the league with +9.0. Budenholzer thanked his colleagues and teammates in the same release, and highlighted notable figures who helped him reach this milestone. This honor is separate from the NBA's coach of the year award. That winner will be announced at the NBA Awards Show in Los Angeles on June 24. Previous recipients of this award include Miami Heat coach Erik Spoelstra and Detroit Pistons boss Dwane Casey.